ST. LOUIS (AP) — Young people thrust into activism by the fatal police shooting of Michael Brown in Ferguson are leading a new wave of civil disobedience in St. Louis, mentored by a civil rights movement veteran and driven by the belief that change won’t happen until the entire region is confronted with the uncomfortable reality of racism. Protests have been plentiful in St. Louis since the mid-September acquittal of Jason Stockley, a white former officer who fatally shot a 24-year-old black drug suspect, Anthony Lamar Smith, in 2011 while still on the city’s police force. The demonstrators have blocked traffic on a major highway, marched through shopping malls and filled the streets of upscale suburban neighborhoods. The locations are not accidental: Leaders say all of St. Louis and its suburbs must understand the pain and frustration of the black community over police shootings and economic and educational disparities. Bush is part of what’s called the Frontline movement. It’s organic enough that there are no designated leaders, but clearly some have emerged. At the top of the list are Bush, a pastor and registered nurse, and Bruce Franks Jr., one of Missouri’s youngest state representatives. The unofficial leaders, ranging in age from their early 20s to early 40s, are mentored by 63-year-old pastor Darryl Gray, who has deep roots in civil rights activism. Gray worked for nearly 40 years for the Atlanta-based Southern Christian Leadership Conference, whose first president was the Rev. Martin Luther King Jr.
Gray sees fierceness in the St. Louis protesters, and he senses they’re in for the long haul. For many young protesters, their activism started with Ferguson, the St. Louis suburb where white police officer Darren Wilson fatally shot Brown, an unarmed black 18-year-old, on Aug. 9, 2014. A St. Louis County grand jury and the U.S. Department of Justice declined to charge Wilson. He resigned from the police force months after the shooting. The protests that rose from Ferguson created a new mission for Bush, Franks and many others now helping to lead Frontline. Franks, 33, has seen firsthand the horror of gun violence. He was just 6 years old when his 9-year-old brother was killed in a St. Louis gunfight in which someone used him as a human shield. Franks, who owns an Allstate insurance franchise, became active in Ferguson “from day one” after Brown’s death. He emerged as a quiet but charismatic leader and decided to run for the Missouri House. He beat an incumbent in the 2016 Democratic primary and won easily in November. Besides selling insurance and serving as a politician, he has battle rapped using the stage name “Ooops.” Franks also is founder of an organization aimed at reducing gun violence, a role that often has him working with police leaders. The latter doesn’t stop him from leading protests against police or criticizing their use of chemicals and force in some of the more than 300 arrests since the Stockley acquittal. Bush, 41, said she found her calling in Ferguson. “We became a family day after day, night after night, 24 hours a day being in the streets,” she said. While in her early 20s, Bush lived in a car with her then-husband and two young children for four months when they couldn’t afford rent. She persevered and graduated from nursing school in 2008. Like Franks, Bush’s activism led to political ambitions. She ran unsuccessfully for the Democratic nomination for U.S. Senate in 2016, and is running for Congress in 2018. It was her Senate bid that drew her mentor Gray to St. Louis. In 2015, Gray was splitting time between his civil rights duties in Atlanta and pastoring a church in Montreal when Bush sought his help in her Senate campaign. He eventually worked on the campaigns of Franks and two other St. Louis candidates, and stayed in the city. As a judge’s ruling on Stockley neared, black leaders began to organize in preparation for an acquittal. Gray was a natural fit. “This has been my life,” he said. 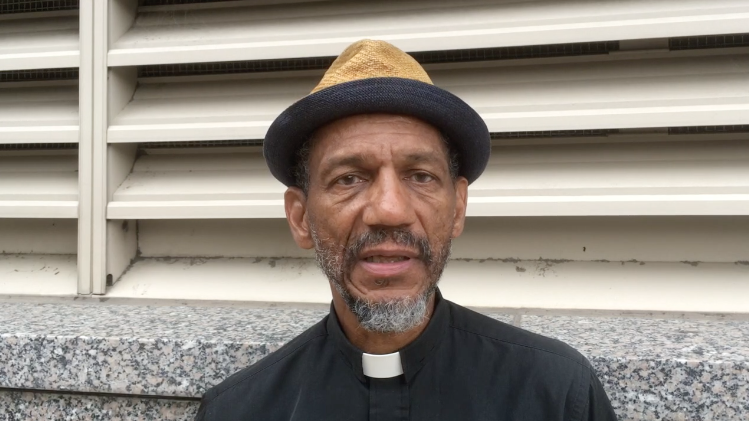 Gray recalled the Montgomery bus boycott of 1955 that lasted for more than a year before the Alabama city agreed to desegregate its transit system. Gray, Bush and Franks say the current protests will be just as relentless. “We’ve still got a long way to go,” Franks said.